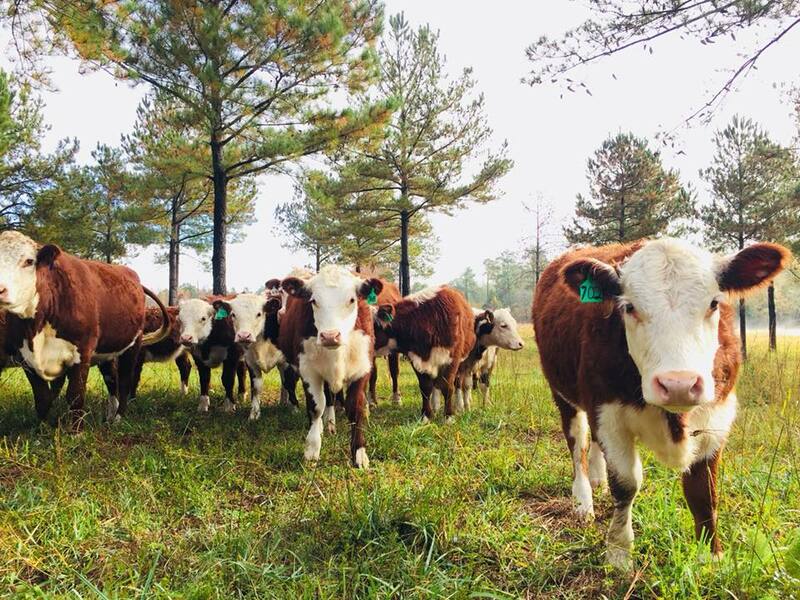 We are a 300 acre family farm in the Georgia Piedmont, near Athens, GA, offering breeding stock and grass-fed beef from our herd of heritage Pineywoods and Hereford cattle. We practice environmentally sound land management, which includes an active rotational grazing system that gives the land rest when it needs and the cattle the freshest, most nutritious forage. On 100 acres of restored pasture we grow a variety of spring clovers and summer legumes, bermuda grass, bahaia grass, tall fescue, and several native grasses. that is 100% Georgia grown. 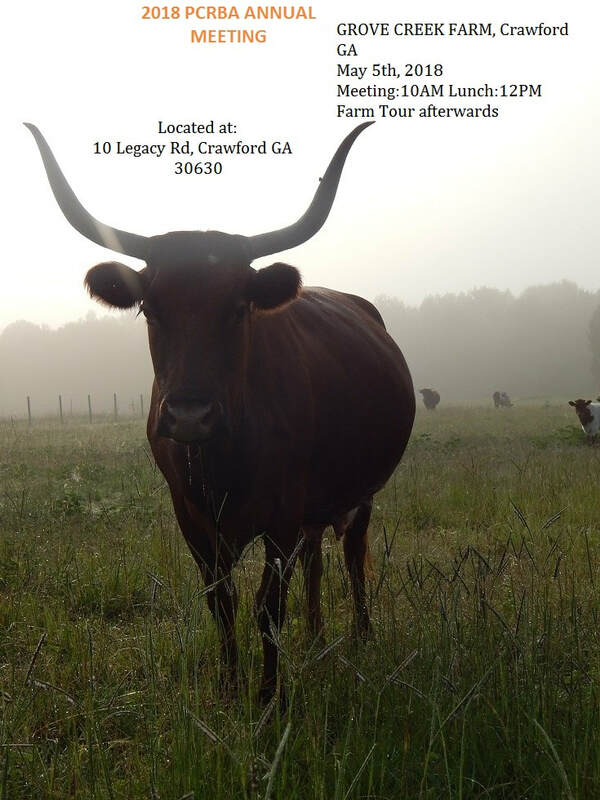 We are honored to announce we were chosen to take over the Fort Creek Farm grass fed Herefords this past October! We welcomed this beautiful heritage Hereford herd to our farm and they will be joining our existing heritage Pineywoods cattle herd. While our breeding programs will be genetically separate, you will see the grass finishing animals of the two breeds grazing side by side on our farm. We believe that preserving the time tested hardiness of older cattle genetics is very important, while still producing a quality local beef for our customers.